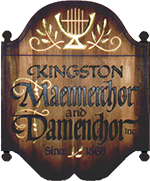 Directors - Kingston Männerchor & Damenchor Inc.
Dr. Dorcinda Knauth is a Kingston native whose first introduction to German was in classes conducted by Helga Bruening and Fred Hatesaul of the Maennerchor at Trinity Evangelical Lutheran Church. Her first music lessons were taken from our Assistant Music Director, Sherry Thomas. 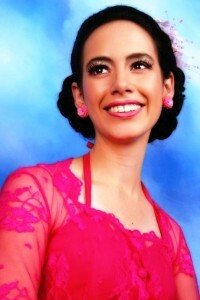 Dorcinda received her Ph.D. in Ethnomusicology in 2010 at the University of Pittsburgh. Her area of interest was Sufi Islam in Indonesian Popular Music. She holds a master’s degree in Ethnomusicology from the University of Pittsburgh with her areas of interest being Music in the Diaspora and Music in the Americas. Dorcinda earned two Bachelor of Arts degrees from Lebanon Valley College. One is in Music Performance, specializing in Organ Performance and Sacred Music, and the other is in History. In addition to her Maennerchor responsibilities Dorcinda is an adjunct professor at Dutchess Community College and Music Director at the Redeemer Lutheran Church in Kingston. Sherry Thomas began her career in music in the fourth grade as a clarinetist. Shortly thereafter she began learning the accordion and eventually piano and organ. She graduated from UCCC having earned an Associates Degree in Applied Science in Business Administration. 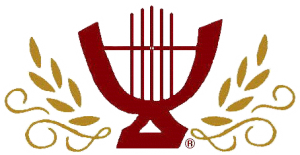 In 1973 Sherry accepted the position as supply organist at Trinity Lutheran Church and continues in this position to this day. She has taught piano, organ, clarinet and accordion at Kingston Music Center. After a hiatus of a few years to raise her children, Sherry returned to teaching piano and organ at the church and in her home in 1991. Sherry became acquainted with the Maennerchor through her involvement in the German church services held at Trinity Lutheran Church. She became the Maennerchor accompanist in 2005 under the directorship of Frank Bosher.